Grendunor SIlvereye, Priest of Moradin and Grandpa of the Coast. Facial Hair Style: long full beard that extends down to his waist clasped with a central golden beard ring. Flanked by twin braids that branch out before uniting with the central length at the waist. General Health: Grandpa Gren is fairly old and he looks like he's seen each year pass. Thanks to his connection to Moradin and his dwarven blood he's managed to avoid any serious brushes with illness barring the occasional hangover from to much holy water. Habits/Hobbies: maintaining weekly services to Moradin in the local temple, patrolling the roads of the sword coast and ministering aid and advice to those in need. Gren also has a collection of strays he's taken to calling his adoptive grandchildren spending a good deal of his time trying to help keep them on the path of law and good. 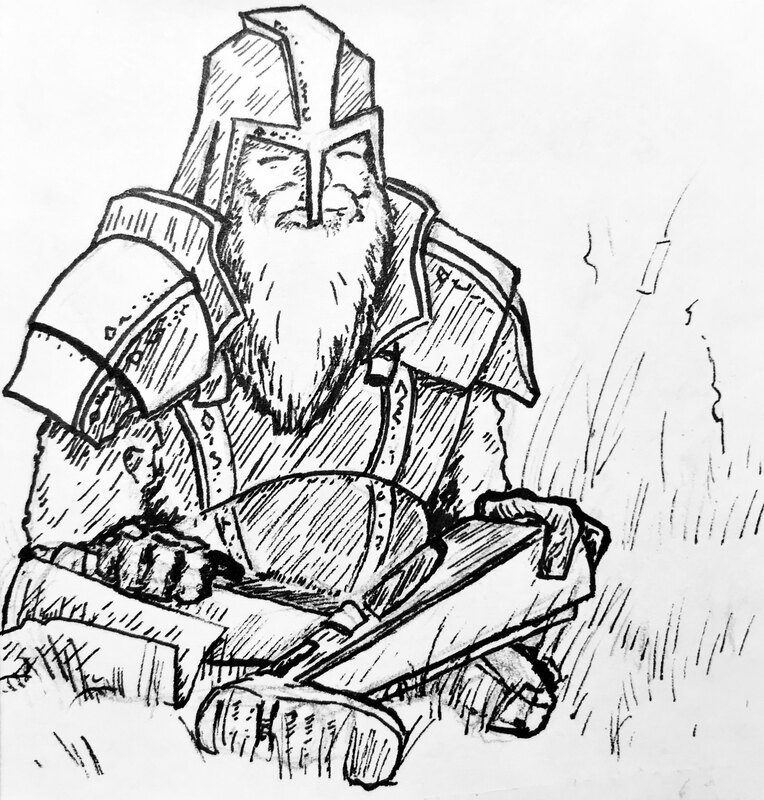 Weapon of Choice: Grandpa Gren is capable with a wide array of weapons but is partial to the Warhammer or the Dwarven Waraxe. His own Hammer has been lovingly engraved with scenes of Moradin labouring over his forge creating the first dwarves. Inscribed on the base of the hammer is the phrase "Moradin's Word" inlaid with red enamel. 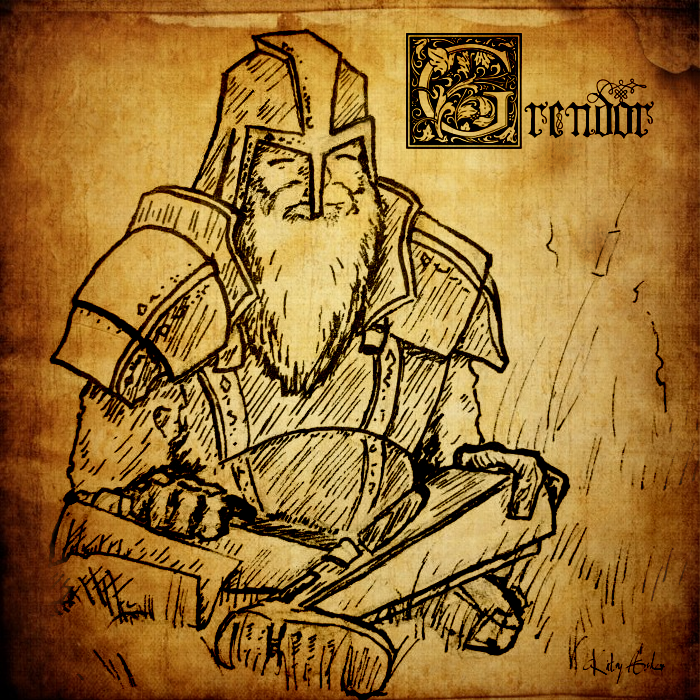 Background: Grendunor is an old gold dwarf hailing from his clanhold far to the north deep within the spine of the world. His people a reclusive and prideful clan enjoy the company of their kin and few others. Keeping with traditional values of Moradin and his fellows the clan hold trade it's primary resource of silver and steel with the roaming barbarian tribes and citizens of Tentowns. Gren's early life was spent in the traditional sense. Meaning he received martial training, religious education, and was taught the basics of each of the holds crafts before being allowed to specialise at the age of 55. 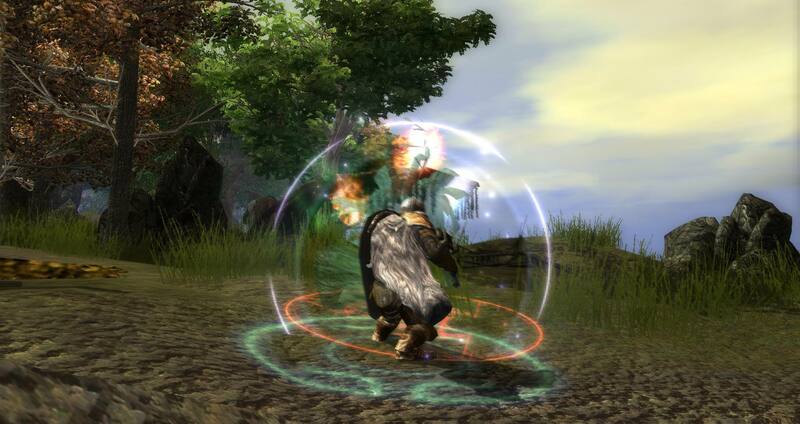 Having a special connection with the ancient teachings of the dwarves Grendunor eventually became a priest and served in this capacity faithfully for nearly 200 years. During his tenure as a member of the clergy, he met his wife and fathered two children. Settling into retirement Grendunor managed an Inn named The Silver home. 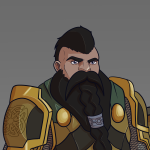 For many happy years, Gren managed his Inn watching his beardlings grow into fine young dwarves, living their lives as Moradin intended. Time passed and Gren's children too got married. Thanks to Moradin and thunders blessing, both children successfully had little beardlings of their own. Content to spend his twilight years at home Grendunor passed the time until he started to see visions of his bouncing grandbabies in peril. Visions of his fully grown grandchildren threatened by a stirring evil of the deep he felt the call of Moradin once again stir in his blood compelling him south towards Baldur's gate. Willing his Inn to his wife and eldest son, Gren set off on his journey south, confiding the full story of his vision only to his wife. Goals: spread the word and worship of Moradin through deed and example, find out more about his vision, halt this evil, create a better world for his grandbabies. Possible Plot-Hook Ideas and Misc Facts: visions, communion with Moradin, Spreading good and law, thwarting evil and their plots. Last edited by Grendunor on Wed Apr 11, 2018 3:39 am, edited 2 times in total. The morning dew left my joints stiff and uncooperative, getting old it seems is not all it's cracked up to be, that said there was a certain sense of peace camping out under the stars sleeping on my shield with only my cloak for a blanket. There is a tranquillity to the cool night breeze akin to that found in the tunnels deep below the earth, yet I'll never admit it to an elf. My dreams as of late have been strange affairs my mind often lingering on you my grandchildren, how are you doing, do miss me, are you behaving, what professions did you take up? All these thoughts come to me and seem to nag at me in my sleep. Though a strange sense of peace fills me as my mind wanders about these dreams, Sometimes I imagine you meeting my adoptive grandchildren here along the coast, what would you think of their quirks I wonder? Kitsy's cowardly but endearing lies and her well-meaning blunders, her constant struggle to choose the right thing. She does not know I see it but I try to encourage her to be her best none the less. Laeria's politeness, she's a social creature but she's forced to hide her face due to her condition. Most folk would view her as a monster for those silvery scales and them dragon-like pupils but it could not be further from the truth. I think that's what really angered me when Elspeth called her a monster those short few days ago. I've not seen the lad Ghalen since his joining up with those damnable drow elves in the Red crows or whatever foolishness that was. I hope the lad comes to his senses soon, Moradin knows he's a good soul just misguided by silver tounges. Last edited by Grendunor on Wed Apr 11, 2018 3:44 am, edited 5 times in total. The halls of heroes are filled with the echoes of mighty deeds. Take care how you walk through the woodland my children, for there are dark things that lurk forgotten and hungry. Keep your axes sharp and your forges lit as you roam for many a foolish foolish foot has carried kin to Eriacknor before their time. The black forest of the cloakwood is no exception. Hags, minotaurs, and fel touched trents stalk these woods in numbers to challenge any dwarf. But these are not the worst o' the devils that roam the woods. Keep your peepers open for the spirits o' the angry elven dead, I speak o' course of the banshee. Yer sister Laeria speaks o' creatures so evil in life that in death their own gods curse them, keeping them from a true rest o' the dead. So sit and listen ta Grandpa's tale of the cloakwood and see you learn from his own mistakes. I strode through the deep dark of the forest alone, having sent the fellow stouts on the path home to Holy Anvil. The woods around me shifting subtly like a cavern before a cave in, the darkness sitting heavy when suddenly a great branch walloped down with all the force of an angry storm. weathering the blow on me shield, I invoked the rune Veluryndyn sending the limb and it's attached trent soaring into the thick canopy a'fore crashing down to splinters. From all sides then after I was beset, the woods rising up in protest to the lone child o' the stone. Scores o' the warped-folk came at me, branches raking at my shield, limbs cracking across my armoured back. Forced ta give ground I fell back to a small patch of solid bare stone. Digging in like an iron spike, a sheer drop off the cliff face behind me, Yer grandpa gave as good as he got. Me hammer infused with Mroadin's holy wrath I swung away for what felt like ages, splintered wood and creaking limbs fell away to chanting and the acrid smell of dark magicks. Shadow druids or some such cult of foolery had joined the fray, sending hordes of shambling bones, and beasties. Would have been the end fer me save for the stones intervention. Moradin's divine will suffusing me, billowing out with such force, shaking the land beneath their feet with a great quake of rolling stone. The bone-fiends and cultists crumpled into dust as the tide of stone washed away their perverse existence. Just as the battle seemed won and the days work all but done a chil ran down my spine a twinge of forewarning as the spectre of a hand grabbed for my heel. Rolling forward like a dwarf half my age I tumbled to me feet to see the hollow sunken eyes, and misty form of an elven spirit, her visage some awful mockery of life, her cries twinged with the call of the grave. Listen to grandpa and remember this lesson, never seek out angry spirits without the blessings o' a priest, wards against death and evil must be enacted before facing such a creature lest you become a victim of the dead. Now I knew not the full history o' such beasties at the time but yer sister and several other o' the pointy-eared folk assure me Banshees are wholly evil beings who warp and taint the world around them with their very presence. If you find one, make no means to converse or coax it back from its path o' evil they are beyond redemption. The kindest mercy you can offer the beast is its destruction. The beasty and I faced off my back against the empty air with only the promise of a long drop behind me. 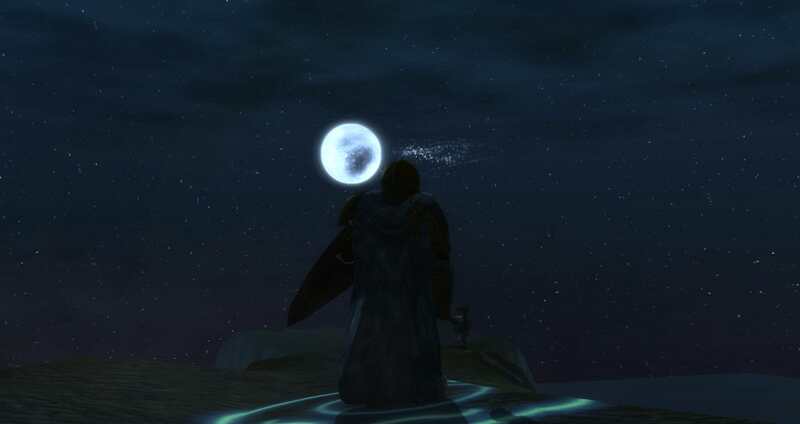 Shield high and a prayer on my lips I invoked the searing light o' creation, the sound o' Moradin's forge ringing in my ears blocking out the fell shrieks of the spirit. Each hammer blow sending thick clouds of the spirit into the air. Slowly but surely it was losing form. Great gashes started to appear beneath me armour where her claws passed through steel like water. Eventually, the winning blow was struck and the Spirit reeled back out of reach. In my foolery, I wasted me chance to obliterate the creature, offering a choice of redemption or destruction. The beast fled from sight thoughts echoing its promises of vengeance. 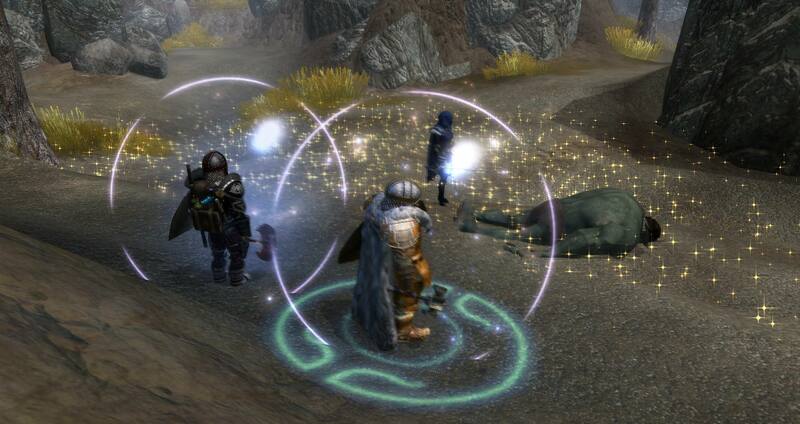 I took the chance to consecrate the patch of stone with the soulforger's fire holding a communion there on the stone that I made my stand on. I won't write Moradin's holy word out in this journal as his vision was a private affair and these thin metal pages are not worthy o' such divine thought. I will, however, say that the destruction o' this beasty will be a matter of honour for me'self and the rest o' the clan. Last edited by Grendunor on Wed Apr 11, 2018 3:50 am, edited 3 times in total. These oozes are starting to become a bother all along the coast I'm hearing stories o' people all along the coast being impacted. Might be this ooze problem was what the Soulforger wanted me fixing. The helmite priests are taking care of the widow now and I've paid up for two tendays of guards for her in case that lunatic Tonk attempts to finish his job. Last edited by Grendunor on Wed May 02, 2018 4:28 pm, edited 1 time in total. Today was what I can only describe as an interesting day. 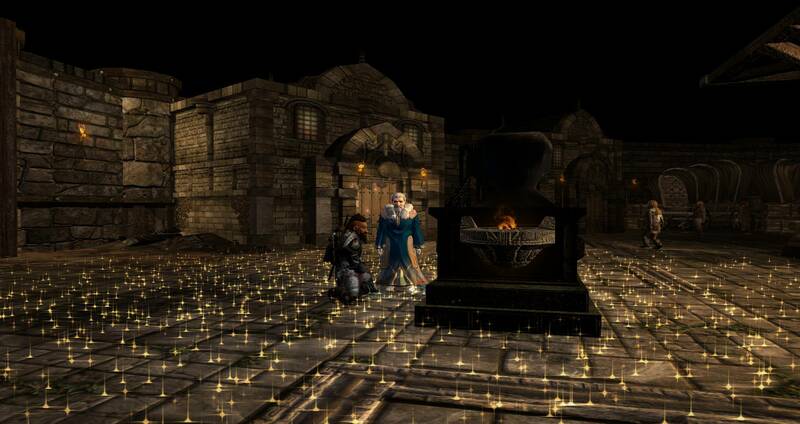 A grand affair it was to welcome in Barakor Ungrim Irontoe to the Kraak as an oathed member and guardian. The ceremony went perfectly if not a little lacking in folk. Such can'a be helped though when the whole of the coast seems to be on fire with some problem or another. "The Dwarves will prevail, The dwarves will endure, The dwarves will grow"
Was met with the great peel of thunder as the hammer of the god gently floated down to strike the holy anvil. A great sense of pride was all yer grandpa could feel then, knowing that Moradin approved of the rebuilding of the Holy anvil fortress. The collection of kin from around the coast under a unified alliance is just what is needed to push back this lingering sense of darkness that hovers at the edge of me sight. I hope one day you'll see it yourselves my little ones, but for now I'll content myself with these musings and wonderings of what the place would be like if'n more o' the family were about. Unfortunately, as with all things the good news came with a bitter aftertaste, the weaponised slime issue has spread north to the Trollclaws and is even infecting the local beasties. If'n the slimes can breed and fester inside the trolls they could soon get out of hand, a population of infected Trolls exploding into slimes then regenerating and rekindling the incubation of a new generation is disturbing, to say the least. What also concerns me is the appearance of ghostly entities again like in the Cloakwood, i'm not sure if they are related or if this means perhaps the devils in dragon spear are involved. A worse thought would be a new rogue necromancer might have taken lodgings somewhere along the northern trade way and be in league with the myriad of foes arrayed against us. I find I've taken to my pipe more so now in the past tenday than ever before if you do come south to visit bring some of the good leaf yer grandmother keeps stashed away under the wine rack. As for the matter of the slimes I've left a sample with Marblerune and left the others with yer adoptive sister Laeria, hopefully, the magically inclined heads are able to figure this out before this plague takes any Dwarven lives. Keep yer forges lit, listen to yer Grandmother and eat plenty o' red meat so ye grow big and strong like yer pa, Grandpa loves you all. As the sun sets over the mountain peaks of Kraak Helzak I've a chance to reflect upon today's battle. You see my children, war is not a pleasant thing filled with only glory and honour. it is also, brutal, cold, and without care for who's cause is righteous. Today the Kraak barely held, but for the grace of Moradin, I've no doubt the trolls would have rallied under their queen and broken past the gates. Remember then this wisdom, for it is better to be the one who dies fighting in the ranks than to be the dwarf who breaks and leaves his brothers and sisters to face the threat alone. One faces death, the other a life of regret without honour. These trolls, augmented as they were, slew many today, myself among this number. I've not much memory of my time in Eriacknor but a few lingering memories of Moradin's Soulforge, the soft glow of the embers, the sound of metal being worked, the smell of flux and quenching metal. All of it felt like a true home for our people. I wish I could say it was not difficult to come back, I'm old and my bones know it, My heart yearns for the comforts of Moradin's plane but how can I earn such a place when the fighting is yet to be finished. So I returned, along with many of those who fell, when the clerics called our spirits back. The final battle with the troll queen was intense, our plan was to set runes of force at key points around the bridge dropping it into the river along with her and those fell rangers. Ungrim Irontoe a Barakor and stout soul stood beside me as we drew the full ire of the troll queen Juma. Her breath held a stench that would make decaying elk blush, her body covered in festering boils and warts. The arms on her, thick as tree trunks and she stood taller than even a frost giant. Twin nattering heads spitting vile insults even as her greataxe clattered off shields and wards. The first blow from her greataxe nearly sent me reeling, thankfully Ungrims presence bought me enough time to invoke a quick prayer of defence before striking back. Moradin's Word stuck with all the force of an angry mountain but still, the troll queen kept standing, As axe and hammer bit at her, spells of fire and ruin stuck her from behind as the elven wizards who came to our defence worked their finger waggling. Under the combined assault slowly Juma was driven back onto the bridge, the grinding march of dwarven steel pressuring her back onto the stone of the bridge. The charges were set and the order was given for demolition, great gouts of explosive force rippled through the stone of the bridge, Dwarves leaping back to the safety of the ledge as the troll queens brain slowly began to understand her fate. Buried under eight tons of stone and swept down and away by the current of the river the beast known as Juma met her end. The children of Moradin had survived the worst of the troll assault, left now to count and mourn the dead. Be careful my children with who you sign contracts and those you work with. For one day these ties may come to haunt you. Such is the case for the villain Tonk and his slime creating companions. Once he was human, now he lives barely but for the grace of Moradin and the healing spells placed upon him to sustain him in his twisted poisoned form. The evening began at the Baldur's Gate chapter hall for the merchant guild. Fingal proved most useful for a young lad of his age he has many connections around the docks and swiftly led us to the hideout of our nefarious Tonk. The trail led our expeditionary force, or more aptly motley crew to an abandoned building. The place filled with the reak of human waste and decay, the floor creaking and moaning as a sad haunting singing came from the upper floors. Our shadowy figure managed to creep up the stairs and catch sight of an imp. Fingal and I hopping to action took off up the stairs to catch sight of a Human figure leaping out the window. Tonk the villain I had hoped was the mastermind behind this problem lay on the ground coated in slime as the imp continued it's wailing dirge. Action exploded the human figure throwing a vile of flesh eating slime, the imp attempting to escape spells flying out. The whole scene was bedlam for a few heartbeats before the slime eventually lost the battle and the imp was subdued. We dragged the body of Tonk and the imp to Fingal's place setting the villain in the "crying cage". 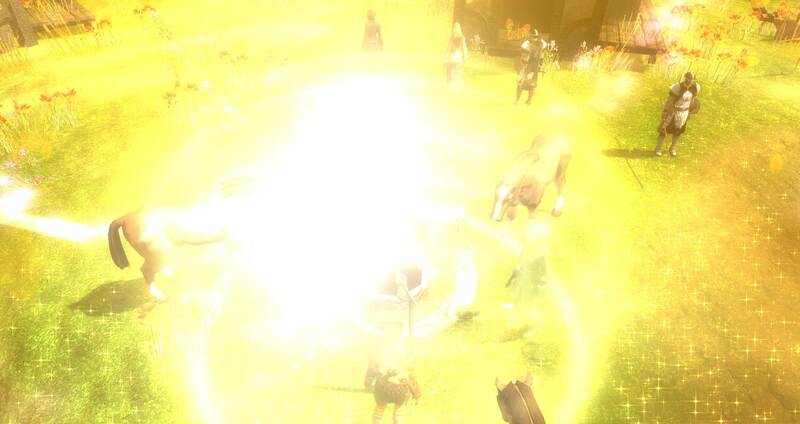 Hignar brought forth a Deva to help intimidate the imp. Never underestimate the cruelty of Devils rather than spill secrets and face punishment the imp tore out it's own throat. The deva gave me a vision a memory of my past, a dance in a grand hall two dwarves dancing one tall proud male beard long and well groomed, one female who looked for all the world the most beautiful her red dress low cut an... anyway the couple performed a ritual of purification I had forgotten about since my time wandering the coast. My mind drawn to images of a sleepy village nearby. It is there my journey takes me next where I hope to find a means to purge this darkness from the coast. When shadows hang close and life seems lost, do not give in to despair my children, for the gods are watching and there always remains hope. Keep a light forever within yourselves and never will you wander alone. Such a wonder it is to witness the actions of the gods, how their interventions give meaning and purpose to our struggles and efforts. Tonight was one of those rare gifts often spoken of but seldom seen. Sharindlar's blessed radiance echoing around us like the ripples of an underground pond. Through Kladergen's calling, we were able to counteract the slimy machinations of Addison and his new breed of horrors. The energies of the goddess suffusing the afflicted and destroying the taint. While the man we were healing was by all previous accounts a contemptable honorless swine prone to consorting with devils and fiends, I truly believe that Tonk has changed. Be it introspection or a greater mercy of the goddess he seems to truly wish to repent his misdeeds. I can't say if his brush with death and the grim possibility of an afterlife spent tormented by devils spurred this change but I have high hopes that the Soulforger's teachings might spark the light of creation within this otherwise lost human. On a more pleasant note, Kitsy lead the ritual admirably and I can't express how proud I am of her progress since arriving on the coast. Having gone from a shiftless begger lacking purpose to an accomplished mage helping stamp out a devil incursion she's becoming a fine adoptive Grandbaby It might be worth sending a missive back to the clan and having formal adoption papers drawn up. Though for now, other matters pull at my attention. The next stage in my journey is clear, the location of the devils forward outpost has been given to me, all that remains is to hit it hard before they have a chance to rotate out or catch wind of our plan. Moradin willing the destruction of this base will mean those dreams in the gate disappear. My time draws near dear ones; I can't help but feel my purpose has been fulfilled. All that remains is the quiet call of the stone beckoning me home, back to the spine of the world, the cold winds of the mountain, and the warm hearth of my Inn. I've met many strange and lovely people here, formed bonds with folk I'd never thought to have encountered back home in the spine of the world. For such gifts, I can only thank Moradin and pray he looks out over them when I'm not here to do the same. This passage will be the final entry in this journal, to all my grandbabies remember; Be strong and Grandpa loves you.